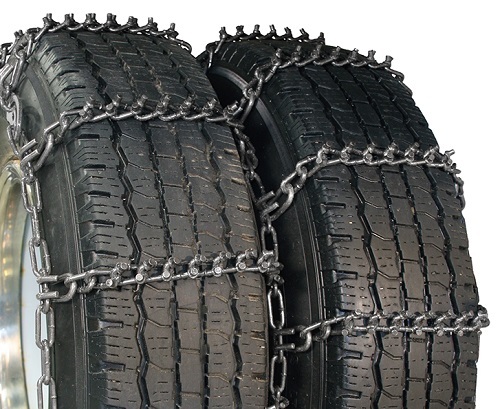 Aquiline Talon 7mm Dual Truck Tire Chains are sold in pairs (2 chains) and will cover four tires. Aquiline® Talon 7mm Dual Truck Chains are manufactured from a specially designed alloy steel that is then case hardened for added durability. Robotically fused studs provide the ultimate in off-road traction. Aquiline® Talon 7mm Truck Chains feature easy to use boomer style side chain fasteners and heavy duty cross chain hooks. Dual model with cams.